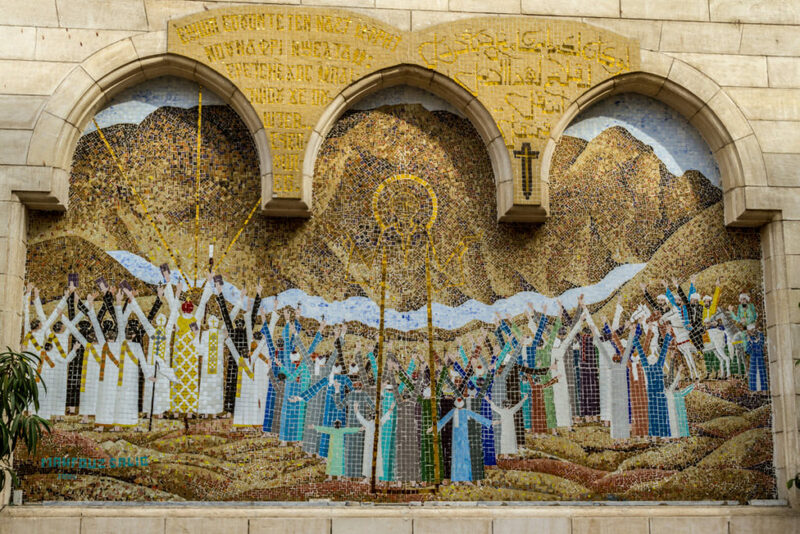 Mosaic mural in the entrance to The Hanging Church in Cairo, Egypt depicting the miracle at Mokattam. God’s promise to His people is always fulfilled; He foretold that He would ride on a light and upon a swift cloud and come to Egypt (Isaiah 19:1); and in that day there will be an altar to the Lord in the midst of the land of Egypt, and a pillar to the Lord at its border (Isaiah 19:19). This promise was fulfilled by the flight of the Holy Family from the face of the tyrant Herod to find refuge among the Gentiles. 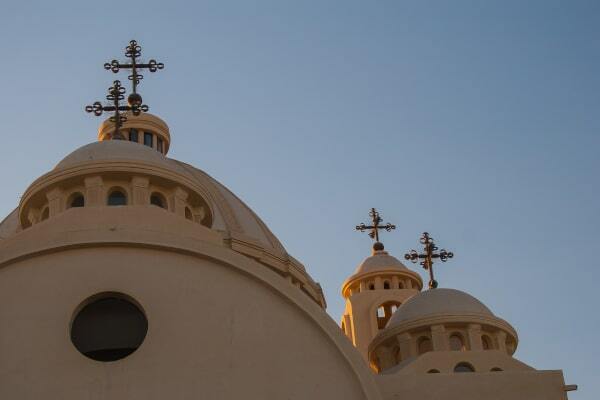 Thus our Lord Jesus Christ came during His childhood to Egypt to lay by Himself the foundation stone of His Church in Egypt which has become one of the four primary “Sees” in the world, among the churches of Jerusalem, Antioch and Rome, and joined later by the “See” of Constantinople. 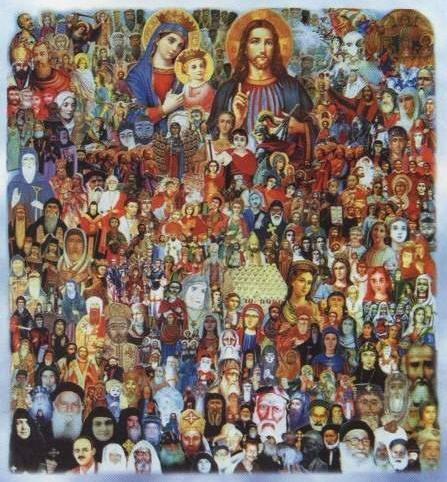 Our Church is ancient and new at the same time: ancient in being apostolic, founded by St. Mark the Evangelist and traditional in holding fast to the original apostolic faith without deviation. She is also new through her Living Messiah who never becomes old and through the Spirit of God who renews her youth (Psalm 103:5). Do not ask for the handling of matters according to your will for God has the foreknowledge for that which is suitable for you.